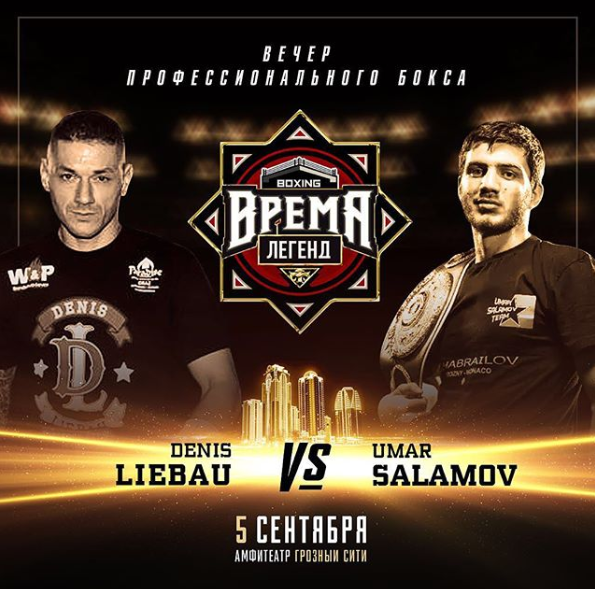 On Wednesday, September 5, fearless Russian light heavyweight contender Umar Salamov (21-1, 16 KOs) will risk his WBO #14 rankings when he takes on treacherous KO puncher Denis Liebau (23-2, 21 KOs) of Frankfurt Germany, for the WBO International Light Heavyweight Championship. The explosive 10-round showdown will be held in the Amphitheater at the five-star Grozny City Hotel in Salamov’s hometown of Grozny, Russia, and televised live in Russia on Match TV. Eager for a shot at the world championship, Salamov has lately been honing his craft at the world-famous Kronk Gym in Detroit, while issuing public challenges to dangerous world champions Eleider Alvarez (WBO) and Dmitry Bivol (WBA). He was last seen in the ring in June, winning the IBF North American Championship by scoring an impressive ninth-round knockout over Brian Howard, live on Showtime. “I love training in Detroit,” said Salamov. “I am excited to be back in the ring fighting for the prestigious WBO International belt. I’ve already held this title and I feel it belongs to me. I am the best light heavyweight in the world and look forward to proving that point in an impressive way on September 5, in front of my hometown fans. Already known for going right at every hard-punching opponent he faces, Salamov says he’s going to be even more relentless against Liebau.